April 27, 2012  Growth will remain low and consumers will be cautious as long unemployment stays high, economists say. And as long as consumers remain frugal, companies will be reluctant to hire aggressively. But is a modest rate of growth of 2 percent to 3 percent better for the U.S. in the long run? 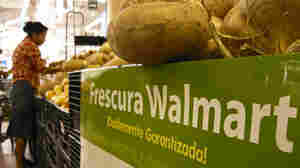 The Wal-Mart Dilemma: When Is A Payment A Bribe? April 25, 2012  The company's business practices in Mexico are under scrutiny, but prosecuting similar cases under U.S. law has proved difficult. Only two cases involving the Foreign Corrupt Practices Act have gone to court in 35 years. April 20, 2012  The founder of Tesla Motors is among the new signatories who have promised to give away half of their wealth. April 20, 2012  The plane reported had 127 people aboard and crashed in bad weather near the capital's international airport. April 20, 2012  The cruise line says the captain of the Star Princess never got word that a group of passengers had spotted a fishing boat in distress. April 20, 2012  One of three agents let go in the aftermath of the Colombia prostitution scandal had written under a photo of Palin on his Facebook page that he 'checking her out'. April 20, 2012  If bail is granted, Zimmerman's attorneys are likely to ask for him to be allowed to move out of the area for his own protection. April 19, 2012  Two papers by Alan Turing, who was instrumental in breaking the German Enigma codes, are released by British spy agency to mark the centenary of the mathematician's birth. April 19, 2012  GSA chief Dan Tangherlini was in for another day of grilling by lawmakers - this time behind closed doors, as commentators weigh in on GSA and Secret Service scandals. April 19, 2012  The Intrepid Air and Sea Museum moves three aircraft off the flight deck to make room for the shuttle Enterprise. April 19, 2012  The nuclear-capable Agni-V blasts off from India's east coast and hits a target area off Indonesia 20 minutes later. April 19, 2012  Ban Ki-moon warns that Syria isn't withdrawing troops even as the U.N. announces a deal on the observer mission. April 17, 2012  The tension between the two realms is greater than it's been in years, some scientists say. 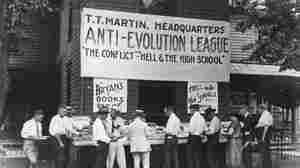 The latest battle played out in Tennessee, with a law that encourages teachers to question evolution. April 16, 2012  U.N. Secretary General Ban Ki Moon calls on Syrian government to ensure observers have freedom of movement to monitor cease-fire deal. 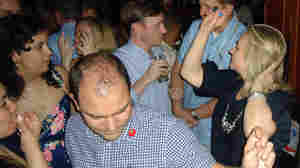 April 16, 2012  Photos of Hillary Clinton swigging a beer and dancing at a cafe in Cartagena grab some unwanted attention.